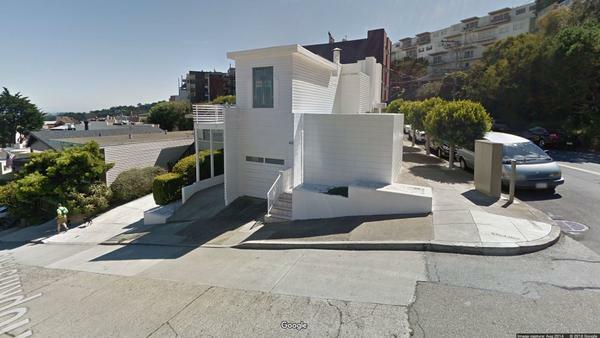 The Richard Neutra-designed home at 49 Hopkins Ave. in San Francisco, as seen in an old Google Street View photograph. A view of the house in November 2017. All that remains is a portion of the garage and a partial staircase, surrounded by gray construction barricades. The two-story home stood on one of the city's signature hills for more than 80 years. Last fall, workers demolished it as part of the current owner's plan for a major renovation. Only a battered part of the garage and the skeleton of a staircase are left. But on Thursday, San Francisco's Planning Commission ordered a kind of reincarnation. 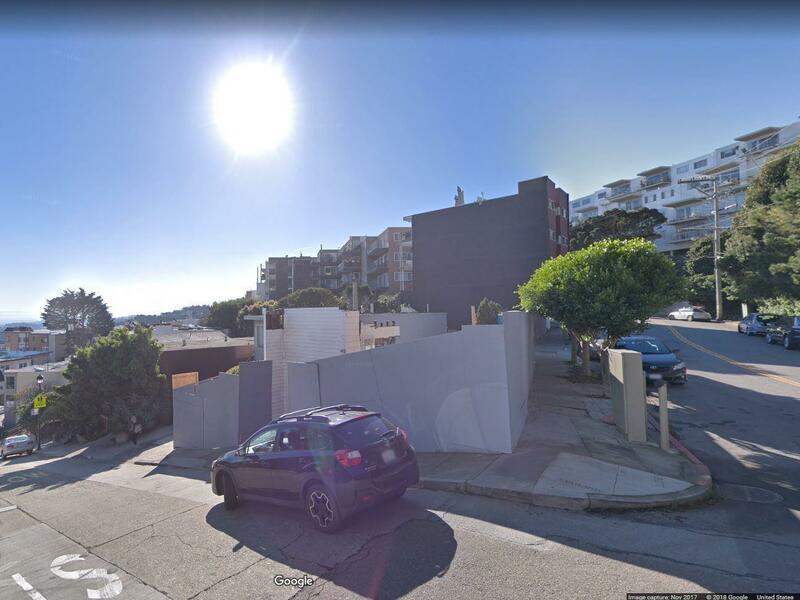 It voted unanimously that if Ross Johnston, who bought the property for $1.7 million, wants to finish his project, he must "reconstruct the structure to its original footprint and massing" using the original methods and materials. In other words, "put it back." The Largent House was one of only a handful of buildings in the Bay Area by Neutra. The renowned architect, like his more famous contemporary Frank Lloyd Wright, was known for his philosophy of connecting buildings to their natural surroundings. This most recent chapter in the house's history began in October 2017 when someone saw the house in ruins and filed a complaint. The city ordered work at the site to stop, but by then the damage was done. Johnston had gone to last week's hearing asking for permission to move forward with construction of a three-story, nearly 4,000-square-foot home. The city's chief building inspector, Patrick O'Riordan, told the committee that Johnston had a permit to do major renovations to the house, but not to destroy it completely. In brief remarks, Johnston blamed the contractor and construction workers for the demolition. "I purchased the 49 Hopkins as a family home that would permit my family of six to move to San Francisco," Johnston told the commission, adding that for the past year he's "been stuck in limbo." The commissioners said Johnston and his architect are free to redesign the interior of the house however they want. But he'll have to work with historic preservation staff to replicate its exact exterior from the 1930s. The commission also said Johnston must add a sidewalk plaque that tells the history of the house. The decision to preserve the form of the original home, however, stands in contrast to a 2015 city evaluation that deemed it wasn't a "historical resource." "Although Neutra's influence in the Modern architectural movement is undisputed, not every house designed by him is significant," the report stated, noting that the house had previously been damaged by fire and also had undergone numerous renovations. "The subject property no longer reads as an International Style house designed by one of California's most important Modern architects." Johnston's case might stand as a warning to other property owners and developers. Last week, in response to other recent demolitions, a city supervisor said he would pursue legislation to increase fines for people who tear down historic structures without permits. Katherine Petrin, a local architectural historian, praised the commission's decision while calling it "unusual." Speaking at the hearing, she said the work should be done carefully to make sure it precisely matches the original building: "Because Neutra was so influential in the modern movement. ... I think it would be a great opportunity to bring that back." As the San Francisco Chronicle reports, others disagree with the commission's decision. "[Neutra's] approach to design was extremely client-focused, producing his unique and masterful homes that reflect both his own vision married to the direct needs and desires of his client and to the natural environment of the site," architect and friend of the Neutra family Jonathan Pearlman told the Chronicle. He added: "To rebuild this house, designed specifically for the Largents over 80 years ago, to represent a current political issue hardly seems like something Neutra would endorse."